The Monza Mirror by Fink Living features an oval design finished in a polished nickel. Suspended with a high-quality leather strap, the durable and natural material contrasts against the glossy mirrored glass. Designed and hand-made in Germany, the contemporary design will add a touch of luxury to any interior design scheme, modern or traditional. 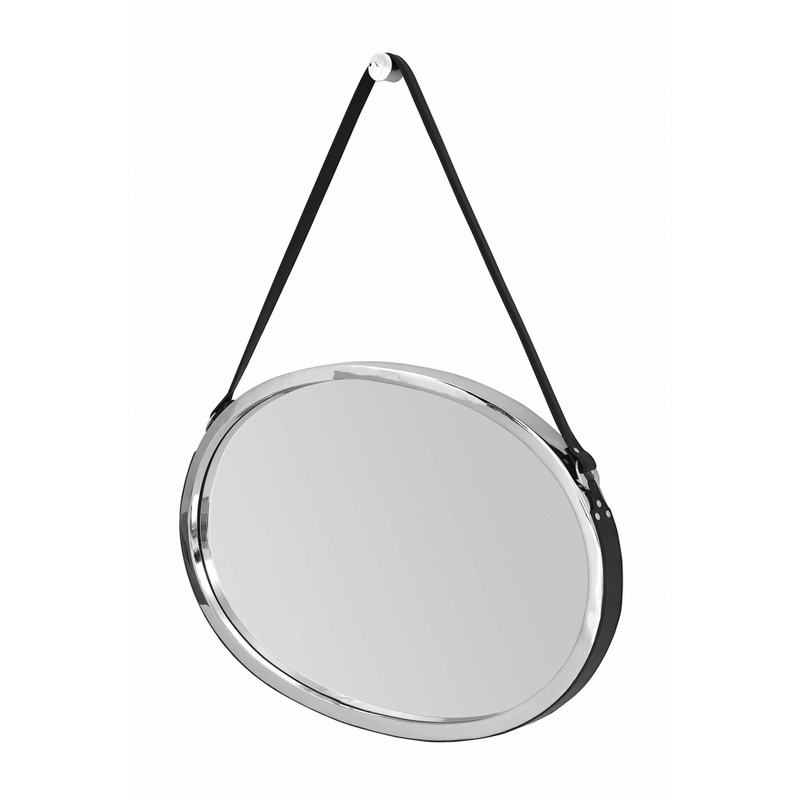 Understated and stylish, the Monza mirror looks beautiful hung in a hallway or living space.